View issues of our journal inside english and consider submitting. Click on your region for more information and to contact a director in your area. 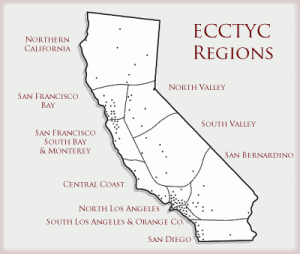 Visit the Officers page to reach an ECCTYC leader. Visit the Directors page to view a list of all directors.